Goblin doesn't have a word for "friend." One of the oft-neglected concepts in gaming is of the various languages spoken by player characters and monsters. At most, players who roll well for Intelligence write down a few languages out of the list and periodically remember that they have such a thing. This, of course, becomes an issue when the monsters surrender or the players attempt to parlay instead of fighting. Typically, it's handled relatively simply: PCs with the language get to talk with the monsters. Personally, I like to have a bit more fun with the concept. The one I've run into most is goblin, which is a great stock humanoid type. The way I figure it, goblins are mostly a savage, uncivilized race who break down into small tribes unless actively enslaved by some higher force, like orcs or hobgoblins. This brings us to the question of what goblin language is actually like. The first thing about goblin is the counting system. There's really no reason for goblins to have a significant counting system; the exact numbers aren't their concern as much as having a rough estimate. So they have words for one and two, which are pretty much universal, and for "some" (which may vary from goblin to goblin) and "many" (which also varies but is bigger than "some"). This is conveniently frustrating for their interrogators, for whom the difference between 5 and 9 goblins may be more significant. I would expect "some" to be based around the goblin's family or fighting unit, depending on the exact context. Then there are other fun things. Goblins aren't nice folk. The way I figure it, they probably don't have a lot of words for making nice – as the title of this post says, there's no word for "friend." The closest would mean something more like "goblin of my tribe," with a different word for "goblin of another tribe." A human would mostly be referred to by whether they were a threat, or whether the goblin group could defeat them, or whether they were slavers. No concept of allies and alliances exists, and even attempts at diplomacy would involve threats or admission of weakness. Lofty concepts of "fairness," "equality," "justice" would be boiled down to a handful of ideas - "human nonsense" and "weakness." Goblin language's richness is one that humans would not prefer - the word for what smells good probably includes a rat on a stick. Threats abound, as do vocabulary for hunting, killing, tunnelling and so on. War is present, but as a permanent condition of goblin society. There is no word for "peace" or even "truce." Likewise, what need is there for a distinction between "earn," "find," and "steal"? If goblins are primarily raiders, and secondarily scavengers, there is fundamentally no difference between them. This is just a sketch; I think I'll write up a more complete (and definitive, possibly with "translations" for effect) article on goblin speech for the miscellany. Has anybody else done any work on this? Or have any input on what a goblin (or orc, or what you like) language should be like? Since there's a debate going on about "old school" again, here are some links to essays written so far. Wondrous Imaginations: My Response to the Grognardia essay "More Than a Feeling"
LotFP: RPG: What is Old School? And people are asking, why does it matter? Why is it important that you're able to draw some line between "old school" and "new school" in gaming if everyone has fun? The answer isn't that hard to find, and I think it falls in two places. One is related to the gaming community, and the other is related to products that are being released. With the gaming community, what we're really doing is pushing back against decades of "new=better" and stating an active preference for play styles that are derived in part or in whole from the early days of the hobby. There are fairly specific things that are involved here: the twin concepts of the megadungeon and the hexcrawl as sandboxes; the idea that sometimes less is more, specifically in regard to "how much do you need in terms of rules depth? "; the idea of player skill lying more in the exploration part of the game rather than in working character generation or the combat system. There are more, none of which encapsulates "old school" but a group of which, taken together, push you over the border line into "old school" territory. A lot of people nowadays seem to have a hypersensitivity to polemical speech, where you basically go further down one direction because you badly need to correct from the other way; this is where we get the whole "rulings not rules" discussion from. It's not that "x is universally bad," it's that we need much more y and less x, so we're making the full-court press argument against x. To this end, I think we've been somewhat successful. Some of these old school ideas have taken on a broader currency, and people are now legitimately interested in the whole sandbox idea coming from totally non-old school traditions of play. What's being missed is that they aren't playing old school games, just drawing ideas from the old school movement. If you're playing 4th edition with some ideas that you got from people who consciously play in older styles, and you enjoy doing so, that's great. But you're not playing an old school game, if the phrase is to have any meaning. There are big assumptions in between you and old school. This is only a problem because there's a certain cachet that now comes with the whole "old school" label, and people are trying to water it down to the point where it no longer matters. And that brings me into the other side of why old school is important. Simply put, old school is a quality filter. Blogs, message boards, and commercial releases are still relatively well sorted into "old school" and "new school." Given the limited resources (time / money) I have for gaming, and the fact that my tastes run decidedly on the old school side, I am able to use the "old school" designation as a limit for where I will invest my resources. You can argue that I'm unfairly excluding "new school" material that I might enjoy, which is absolutely true, but I don't consider it worth my time to research and buy new school products in hope that some of them will have been worth checking out. It's important for me, then, that "old school" stays in tact as a label that filters relatively well along the lines that it has so far. I haven't found every single old school module I've bought to be a revelation, but I've generally found them to be reasonably well written dungeons without an overbearing plotline, which is nice. The problem is that, as people find that there's a market for "old school," there is some necessary dilution of the label as something worth using to differentiate my stuff from other people's stuff. The more we can push back against that, say "it's a nice product but it's x where old school stuff tends to be y," the more we can preserve the old school label as a firewall. It'll never be foolproof, but it's good enough for my purposes now and I'd like to see it stay that way. Really, it's the same thing for play. If I say "I want to run an old school game," that means I expect people to not mind that they will be rolling 3d6, quite possibly in order, for stats that aren't all-important and all-determining; that I will frequently be making judgment calls on what they are doing rather than referring to a rulebook; that we are playing a dungeon crawl and PCs are liable to die at any time if they're not careful (and it's never careful to engage in combat). Oh, and if you do die, your next PC will probably be in the next room with monsters, bound and gagged, and a first level shmuck. If you're lucky and careful, this shmuck may actually advance up to being a hero, but he or she certainly doesn't start off as one. If that kills the game for you, honestly, why would you want the old school label in the first place? It isn't useful for either side – the people who don't have old school gaming values don't enjoy it, and the people who do want to use it to find players who actually like the kind of games they play. Everybody (except for Jim Raggi) is in this to have fun. But part of being mature means that you recognize that one size doesn't fit all. My fun isn't necessarily your fun, and these divisons exist for a reason. We're trying to get games, modules, supplements and discussions going for the kind of things we like here. And it's working, which is why I think the "old school is just a feeling" thing is actively harmful at this point. Like 29 other souls in the old-school gaming community, I recently received my "white box" of Jason Vey's Spellcraft & Swordplay. S&S is a reimagining of OD&D if, instead of fleshing out the "Alternate Combat Matrix," the creators had stuck through with a unified Chainmail-style combat system. Now, being a guy who worked out a matrix for weapon classes, I think that's pretty nifty, although I don't think I'd go with its specific interpretation. The idea in S&S that I think is really remarkable is rolling for spells. Here's how it works: when a wizard tries to cast his spell, he rolls 2d6. It has three possible results: "Immediate," "Delayed," and failure. A failure indicates that the spell fizzles, except on a "2," when it's forgotten but still useable. Immediate means the spell goes off that round, Delayed means that it goes off the next round. The neat thing is that Immediate and Delayed results don't involve forgetting the spell until the next day. It's a very cool way to run wizards, especially so that first-level ones aren't necessarily one-shot ponies and high-level characters aren't indominable. It's a cool enough idea that I think it's worth adapting. Of course, the S&S spell failure rates are a little high at low level, and I think it may need a broader "works but you forget it" option, as well as the possibility of an actual failure (and attendant "spell failure chart," natch). But when I finally get a miscellany written (see Jeff Rients's excellent Miscellanium of Cinder for an example of awesome in a can, will write more about this once I get it read) something inspired by Vey's spellcasting rules will probably work their way into it. D&D has always inhabited a sort of in-between realm, stretched between the classic sword & sorcery fantasy works – which have a very particular take on a lot of aspects of everyday life – and being much more medieval than most really popular fantasy has been. But I think certain aspects of how medieval people thought have been neglected because we let our modern understanding of how the world works shine through too much. It's the kind of thing I'm reminded of when I find an article like this. Medieval people saw cotton plants, didn't know what it really was, and figured (based on what they did know) that it was a plant that grows sheep. That's unscientific but ten different kinds of awesome for fantasy purposes. Regardless of what you feel about how the real world got here, the fantasy world is explicitly creationist – which was the default assumption of people in the middle ages as well. And, acting based on that assumption, they came up with some pretty interesting theories of how things came to be as they are. Unfortunately, I think the tension between D&D's pulp S&S roots and the attention to medieval detail got washed away, to a great extent, by settings that internalized big chunks of what I think of as "Tolkienesque" fantasy (the mode of modern high fantasy; the biggest epigone being Terry Brooks). Which is a shame, because I think there's tons of useful material that could be wrenched out of not just the various facts and names of the medieval world, but how people used to think. I've been spending a lot of time lately on considering just how superstitious people really were; they weren't stupid in any way, they just lived in a time where the best explanations for natural phenomena involved unknown forces acting in barely-explicable ways. There are two ways, both of which I think are quite valid, of approaching magic. One is to assume that the world operates pretty close to how it does in reality, but there's also magic stuff. Some people play up the otherness of such magic really well; it's the intent of all the stuff that was so controversial in Geoffrey's Carcosa, for instance. But I think there's a second way, where the laws of reality really are like people believed them to be. Numbers have deep mystical meanings, which actually has some bearing on outcome. Herbs and stones and gems really do have the properties that people ascribed to them, not because of some weird medical coincidences, but the innate properties of life work like that. I'm talking about going the way that says that what you read in the medieval bestiary – the weird stuff about animals born from plants, or having unconventional internal temperatures, or tearing open their own breasts to birth their young – is true. It's a vision of fantasy that I think deserves some exploration, and I really think that incorporating it could bring a very different feel than most modern high fantasy, rooted in history and painting the world several shades of fantastic. I think it's where I want to go with the work I need to get back into on my OD&D miscellany. Fight On! #4 is available in print. I bought it as soon as the proof was up on Lulu, and already have my copy. I've always been an early and frequent enthusiast of such works. Table of contents is here. FO! 4 contains some of my own work, a table full of magical weapon drawbacks. Now, that's about half a page, and personally I think the other hundred twenty odd are worth full admission price without my little contribution. But it's always fun to see your name get in print. I really like what I've read so far (most of the charts, incl. the random facial hair generator, and Calithena's award-winning Arduin adventure). I love that every issue has tables and goodies that are easy to drop into a game as well as those more involved dungeons and areas that take a bit more doing. FO! 4 is also Arduin themed, although it really has a ton of different gonzo influences going for it. On a sad note, as everyone's been pointing out, it's a year now since Gary Gygax died. Still, it's beautiful to see that his legacy is still alive. Fight on! So, in the interest of doing more for this blog, I've decided I'm going to read and comment on aspects of the original Arduin trilogy. My editions are the three-book reprints done a few years ago by Emperor's Choice, which I will note had the unfortunate effect of mis-paginating the reprint text by a page (so that page 1 faces page 2, rather than page 2 facing page 3, and so on). The newer reprint, I understand, puts Hargrave's somewhat random tables and notes in a more coherent order, which may be contrary to the spirit of the whole exercise, but I'm getting ahead of myself. The book starts with a dedication to the player characters of Arduin, rife with names stolen from Moorcock and Tolkien; it is a tribute that Hargrave found his fantasy world through. He continues with a guarantee to answer any inquiries personally; his home address is printed in the book as a guarantee. It's nothing really that far afield, but it underscores the fact that it was a very personal work, for all its oddness and quirks (which we'll get into). Actual rules text starts off with a page of notes on overland travel procedure. There is an implied re-write of the reaction chart, with the most aggressive result being a "screaming attack upon your party." This is not in the shape of a table, although there will be plenty to come; it's described narratively, with a separate listing for intelligent foes, who exercise more caution. We also find out that Hargrave was using Dexterity to determine who goes first in combat, describing that a fighter may hit an enemy just before it is struck by magic, which then does its work on the weapon. The procedures are straightforward enough, and there is an offhand reference to using "other roleplaying games" for random encounter charts (i.e., D&D), but an admonition to make your own. Page two breaks with Gygaxian tradition and instructs the referee not to give experience points for gold or treasure. Instead, the experience rewards are given on a chart, scaling from 50 (figuring out a trap, casting a minor spell, any generally uncalled for or dangerous act) to 400 (dying and coming back). Rewards range from acquiring Satan's pitchfork or nuclear weapons (350) to going down to 1 HP (100), and focus mostly on magic items acquired and spells cast, with combat only coming when you beat a monster worth 4x your hit dice or more. The next two pages (the book now flips to landscape format, which will happen often enough) run experience charts for Arduin. 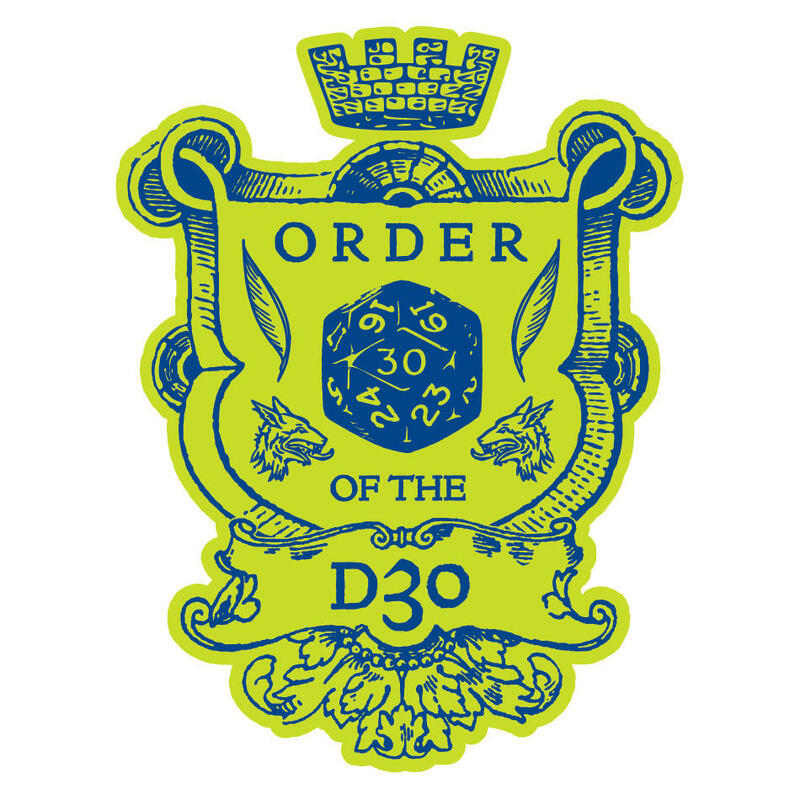 Unlike OD&D, which capped out with 11, these take characters up to 105th level and beyond. The actual math in the charts is interesting, because it takes quite a different tack than D&D. Where D&D keeps raising numbers by factors of 2 for a number of levels, Arduin prefers to add a new level whenever the total for 3rd is reached, up to a point around or after 10th level, when the number doubles. Somewhere around 20th level it gets doubled again (although the charts stop listing individual levels and go in increments of 5, then 10). It works out that a fighter in D&D with 240,000 XP is 9th level, but in Arduin they are 27th level. Arduin's experience tables are interesting. Because points come much harder, (although it isn't clear whether standard monster XP is accrued) it makes a certain degree of sense that levels come more easily. Not having run that much at higher levels, I'd be curious to see their impact, although I certainly wouldn't use them with 1 GP=1 XP. There are also more classes listed than are presented in the book. They are: Thief, Slaver, Techno, Courtesan, Assassin, Alchemist, Rune Weaver, Saint, All Outlaws, Warrior, Cleric, Monk, Mage, Illusionist, Druid, Singer or Bard, Ranger, Normal, and Barbarian. The classes in the first Grimoire are Trader, Psychic, Barbarian, Rune Weaver, Techno, Medicine Man, and Witch Hunter. The Trader, Psychic and Witch Hunter all have XP tables with their descriptions. Given the classes that were in D&D use at the time, that leaves us with Slaver, Courtesan, Alchemist, Saint, miscellaneous Outlaws, and Normals without explicit description. The "Singer or Bard" class is particularly noteworthy. The Bard class from the Strategic Review (reprinted in Best of Dragon #1) is implied, but the "Singer" part actually refers to a class published in the first two issues of Alarums & Excursions, which filled the gap prior to the TSR version. Level limits follow this. For a game that gets up into 105th level, Arduin doesn't expand the more traditional demihuman level limits too much. The highest numbers are 15th level (Mermaid Mages, Titan Psychics, Gnorc (sic) Warriors and Insect Thieves). Almost every race is on the chart, some with unlimited levels in a few classes, others with almost no classes to be a part of. There is a riotous diversity here - from Hargrave's originals (Saurigs and Phraints, lizard and mantis men respectively), to his hybrid Kobbits and Gnorcs (though not Knoblins) and everything from Titans and Giants down to most types of animals, where Hargrave helpfully explains "Obviously, normal insects and animals are not smart enough to do much of anything, but there are were-creatures and other types that fit the bill, so these guidelines are meant for them." Were-creatures were extremely prolific in early Alarums & Excursions, with one were-fox mage, Brilliant Jade, being a prominent character in several campaign stories, so it's not surprising to see them here. Cave men and Amazons are their own races, with quite restrictive level limits; there are also Uruk-Hai, an indication of Hargrave's tendency to crib bits he liked quite shamelessly from other sources. Personally, I think it'd be interesting to have a cat mage with a human familiar, but that might just be me. That's just the first five pages of Arduin. It's intriguing, and I do have to say I enjoy the idea of some of the different possibilities open here, but it'd take a bit of doing to get them into a D&D game without upsetting the whole apple cart. Next up will be more race info. Geoffrey McKinney's recent post on the OD&D forum (read it here) talks about some of the strangest and most infamous of old-school games, the original Arduin trilogy. I've had the books for months and read them off and on, and I occasionally get the desire to just rip off big chunks and run with them in D&D. I still have the sort of eyes that read the reduced typeface of the original trilogy, although I may be tempted by the allure of a single hardcover volume (available here) in the future. Arduin was marketed as its own game, to a certain extent, but fundamentally it was David Hargrave's house rules for the original D&D game. It's interesting to look through it, almost to the point where I think it should be required reading for people talking about OD&D in this day and age. Like most gamers at the time, Hargrave cheerfully embraced the OD&D supplements, hacking and modifying away at bits of them rather than taking the very modern stance of embracing "just the original 3 rulebooks." It's also rather accurate as a snapshot of the kind of thing that gamers, at least the sort who wrote in to Alarums & Excursions, were doing at the time: there are charts for character special abilities, critical hits, a mana point system, and concerns about all those areas where OD&D wasn't really clear. But beyond that, Arduin reflects certain realities about the time that OD&D was out that weren't true about the subsequent period. Hargrave was very conscious that he wasn't writing eternal rules down to the ages. His tone is constantly that of one participant in the larger conversation about how to do things – albeit a participant who'd gotten himself a bully pulpit by publishing his rules as a supplement. And this was the reality of the gaming scene at the time: TSR was regarded as having a great product, but nobody was poring through the works of Gygax for hidden pearls of wisdom; his ideas were regarded as nothing more than one way to do things. What I think people miss is that this is the context of the publication of AD&D as we know it. Into this volatile stew of gamers taking D&D off in varied and colorful directions, in which Tunnels & Trolls was considered about as good as the "real thing", Gygax launched a set of hardbound rule books that really solidified a lot of the play culture to come afterward. But the AD&D books have every mark of being birthed in this ongoing milieu; the game was then wrenched out of it by sudden fad status, and the idea of a set in stone "D&D" replaced it. Arduin, because it's back in print, serves as a living reminder that the game wasn't always that way. Even if you don't embrace a single thing from its rules (although how anyone can pass up air sharks is beyond me), the more important thing is to look at the original D&D game as it was seen in its early days. Sometimes I think that the best thing we can do in the old-school renaissance is to create a dozen or two Arduins, reinterpretations of D&D that expand on the wild possibilities in the game rather than constraining ourselves to trying to understand and appreciate what Gygax managed to put into the first three D&D books ever published. So Jim Raggi over at Lamentations of the Flame Princess put this post up today announcing "Green Devil Face," a new magazine for the old school renaissance. Rather than trying to be a generalist mag like the excellent Fight On! or dedicated to a specific retro-clone like Knockspell, Green Devil Face is going to focus on big obvious fun room traps. To be honest, I think this is one of the coolest ideas to come out of the old school since Points of Light (which is just pure awesome). It's immediately useful, cuts out all the nonce about plot and setting and context that you often get out of dungeon modules, and asks for one thing: rooms that you can stick into an existing dungeon. And it's about traps, which is something I've specifically wanted to see more of in old school renaissance publications for a while now. Naturally, I've already written up a contribution to this excellent effort, and I hope that a lot more people get behind it. Go! Write us your trap rooms! I ran a game this evening - first actual play I've had since November. I just wanted to share a couple of tidbits here while events are still fresh. Probably the stand-out for me this evening was a random encounter. The players were going through a corridor, and reasoned it would have a secret door; they sent enough characters down it that I actually rolled a 1 on the square with the door and it was revealed. The door went into a pocket, and the players failed their surprise roll. The kobolds on the other side didn't fail theirs, so they took a round of dagger-throwing. The kobolds were evenly numbered but the players, with much better AC, managed to take them down without fatalities. The characters looted the kobold room (I think it was actually the only keyed piece of treasure in the session) and were searching for secret doors when I rolled a 1 on my random monster check. Now, as a referee I always prepare my listing of random encounters. I wanted something icky, worm-shaped and Cthulhoid, but not too high in hit points, so I rolled up a quick, squishy Spawn of Shub-Niggurath using the charts from Carcosa, and it came out to pretty much exactly the kind of beast I needed: ugly, a bit frightening, totally new and unknown to the players. They thought quickly and used a button on the inside of the secret door room to shut themselves in. Then they got one of those moments of ingenuity that you just can't fabricate: they realized that the door seemed to be able to open or close by pressing a panel, and that they might be able to use this against the Spawn. I rolled a quick check, giving it about a 35% chance that the secret door would work like they expected (not have to recess all the way before it began to close) and it came up in favor of their idea, so they managed to neatly bisect the Spawn. I assigned 2 dice of damage for this; it would've been a save or die if the enemy had been less....thing that should not be-ish. Taking down the remaining half - what, you expected it to just die? - didn't take long, and they discovered that the blood was acidic, which they managed to bottle and sell for a bit of a profit. Of course, I probably could've come up with a suitably Cthulhoid encounter without the charts in Carcosa, but it was fun to have a whole bunch of different options to stat up the kind of creature I needed for a very particular niche. I was also very pleased with the lateral thinking to get around the fight, which turned the whole thing from a "you see something weird" "we run / kill it" into a memorable encounter. A lot of this is prompted by thoughts shared on this thread on RPGnet, by Mike Mornard (Old Geezer), one of Gary Gygax's original players. Reading it will give a bit more context into what I'm talking about. As somebody who read about the megadungeon idea and said, "Wow, that's cool!" and went off to make his own, I have to say that I feel like today's old school modules are going down a path that, while it has its merits in its own right, is neither useful to the megadungeon designer, nor reflective of the old school play that we are trying to get at. 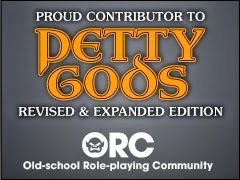 Read the RPGnet thread linked above, Mike Mornard makes the main points: a lot of the classic modules are relatively linear grinds because of the requirements of tournament play. And as they were popular, and needed their own justifications in the world, they tended to be given a location, a rationale and a place that makes them awkward fits at best for a megadungeon. But there are a few products, both older and more recent, that make me think there is another way to approach the module. Two are classic Gary Gygax modules: EX1 Dungeonland and EX2 The Land Beyond the Magic Mirror. These are high Gygaxian funhouse areas that were linked to the original Greyhawk Castle -- in fact, they're really the earliest published levels from that classic dungeon. The other is a more recent product, which I was lucky enough to actually play in: Bottle City by Robert Kuntz. This was another sub-level in Greyhawk Castle, and the product really shows the difference - it's a big sandbox to play in, rather than being a linear, plot oriented dungeon. What makes these modules so interesting for me is that they validate an alternate model to the classic convention module. The intent is not to have a fully sustained, well plotted and placed dungeon, but something that can be dropped into an existing dungeon with relatively little difficulty of integration. It doesn't have to be Wonderland, since Gygax already did that, but it could be just about anything that is accessible from stairs, a chute, a teleporter, a mirror, a bottle, or anything else you're likely to find in a big dungeon. But the other thing that sets EX1, EX2 and Bottle City (and the Living Room, which I've yet to receive) apart from other modules is that they are not simply someone dreaming up "what dungeon should I put out next" but real sub-levels from dungeons, which arose not out of commercial or convention needs but were worked up for an actual play group, cleaned up and published. There is something wonderfully authentic about that, the sense that I'm not just reading a scenario the author wrote for others, but an actual level from a well-loved dungeon, which I can add to my own dungeon (or not) because the idea is so interesting. Who knows? Maybe once I stock it and some players actually get to it, I'll write up the "abandoned temple" sublevel of my own dungeon and put it out on Lulu. But I hope this is food for thought for some of you looking to write a module. The idea of lizardmen always struck me as one of the cooler "mash up a human with an animal" type of monsters, because they're a bit squick-ish. The first picture of a lizardman in Greyhawk (which I use primarily for monsters and the paladin class), after all, was sufficiently cool to be TSR's logo for several years. And it has always struck me as a neat D&D monster just begging for variants, but apparently even modern editions haven't done too much of interest with them. So, I spent an afternoon a few weeks ago looking up different facts and ideas about different types of lizards. And, as is my wont, I translated some of these things into game-ready ideas: nothing really too extreme, but enough to make a class of monsters varied and fresh for a number of encounters. The race of lizardmen results from a long-ago magical cross of humans with various sorts of lizards. The "standard" lizardman type is in fact a mongrel of different breeds, which has few if any of their special qualities. Purebred lizardmen have preserved their characteristics much more strongly, and are named for their lizard progenitors. All of the lizardmen types noted below regenerate at a rate of 1 point per turn. Iguana - These lizardmen have a third eye, which allows them to see through magical invisibility. 25% of the time they will be accompanied by a shaman who is effectively a 2nd level magic-user. Chameleon - Like their namesakes, these types can change their skin color to match their surroundings. Groups encountering chameleon lizardmen are surprised on 3 in 6 instead of 2 in 6. Chameleon lizardmen are usually found in small hunting packs. Komodo - Based on komodo dragons, these lizardmen are considerably larger than average and have armor class 4 and 4 hit dice. Their bite (used on 1-2 in d6) is a powerful poison, which acts as a slow-acting poison described elsewhere in this book*. Fortunately, Komodo lizardmen are almost always solitary creatures. Plated - These massive lizardmen have heavy plate-like scales, and correspondingly AC 3, but only move at a rate of 3". They do an additional 2 points of damage based on size. Horned - Although they more resemble frog-men covered with short, pointed spikes, the defining characteristic of horned lizardmen is their ability to squirt a stream of blood from near their eyes. This is not poisonous or caustic but, if the target fails to make a save versus dragon breath, he is blinded for 1d6 rounds. Spiny - These lizardmen are light, fast (base move of 9"), and walk effortlessly on walls, being closer to lizards in their stature. Their bodies are distinguished by short spines that resemble those of Horned lizardmen. * My poison rules are actually somewhat more forgiving than the standard. Slow acting poisons work as follows: if the saving throw is failed, they do one die of damage per turn for 6 turns. At the end of the 6 turns, if the character is still alive and has not been cured, he (or she) makes another saving throw; this one is "save or die." You're free to make komodo lizardmen have save or die poison if that's how you roll. The previous post, Save vs. Death Ray, is from a longer document I've been working on, on and off, for a while. My initial intent was to fill up enough content to put out a 8.5 x 5.5 supplement perfect bound from lulu.com, but it turns out that requires something ridiculous like 84 pages, which is honestly more rules and details than I want to put into the thing. So I've considered doing it 6 x 9, which would let me put out a smaller saddle stitched book. I may eventually compile the material I put out here, and on the OD&D forum and other places, into such a book. But for now I'm going to be putting some of the stuff out bit by bit. You see, for me the perfect book has little of classes and races and spells as such. And, while I do occasionally like a module for inspiration (either in mapping or room descriptions), to be honest I'm not going to be running so many of them. I would gleefully use a hundred thousand stacks of monster books, though. But what I'm really interested in is a miscellany. From Gemstones: Topaz: A true topaz will lose its gold color when brought within 5’ of poison. When removed from the proximity of poison it will regain its color. From Herbs: Eyebright: A poultice of this flower must be laid over a character’s eyes for 1 full turn. When it is removed, he can see the blurry outlines of invisible creatures or objects for the next turn. The poultice cannot be used twice. 1. Would you be interested in a 32-page miscellany of the type described above? 2. If so, what additional items would you be interested to see in it? One of the things that strikes me when I read through the OD&D rules is a throwaway item in the saving throw list. There is a save versus "Death Ray or Poison," which for the most part is interpreted rather tamely as referring to spells like finger of death and similar effects. Don't get me wrong, that's perfectly legitimate way to look at save versus death ray. But it's missing one of the most fun aspects of old-school gaming: making up fun stuff based on vague suggestions in the rulebook. So, the way I figure it is, death rays have different color beams, which determine the overall effect. Red: Red death ray beams are based on extreme heat. They will cause wood or cloth to burn, and if intense enough, may cause metal to become white-hot. Orange: Orange rays are derived from acid, and must be extremely corrosive to any object in their path. Items must make a saving throw or be destroyed. Yellow: Yellow rays are effectively lightning, and will be conducted by any metal they come in contact with. Green: Green death rays are based on poison. Blue: Blue death rays are based on extreme cold. Liquids (canteens, holy water, potions etc) must save or the vessel containing them will be destroyed. Indigo: Instead of causing physical destruction, indigo death rays affect the mind. A character who fails his or her saving throw will go irretrievably insane. Violet: Violet death rays reduce living matter to its constituent elements. A person killed by a violet death ray will be reduced to a pile of ashes and a mass of super-hot, boiled water. This has no effect on non-living matter. And, of course, death rays have to be launched from something. Ray Gun: These are small enough to be held by hand and do 2-3 dice of damage per blast (save for half). They only strike their target if the wielder first makes a successful "to hit" roll, considering all man-type creatures to be effectively unarmored. A ray gun will have enough energy for 1-100 (roll d100 to determine) blasts. Cannon: The cannon is a form of death ray too large to be held by hand. Based on their size, cannons (which may weigh from 100 to 1000 lbs) may do 4 to 12 dice of damage. A cannon will have enough energy for 4-40 blasts. This is just a sketch of how I intend to have death rays work in my games. Has anybody else done anything like this with death rays?